Alan Joyce at the 2012 IATA general meeting. I don't know how many times Qantas executives boo-hooed since upstart airlines headquartered in the Persian Gulf started eating the lunches of established flag carriers, but in public, Qantas boss Alan Joyce has made no secret of his resentment of Emirates and to a lesser extent Qatar and Etihad. As I reported for the International Herald Tribune, airline executives grumbled the Middle East carriers were "subsidized by their governments" were "vehicles to diversify local economies", "paid less for fuel", yada, yada, yada. But all that complaining didn't solve anything. Having failed to beat 'em, Qantas is joining its former nemesis. Yes, the crying stops today. 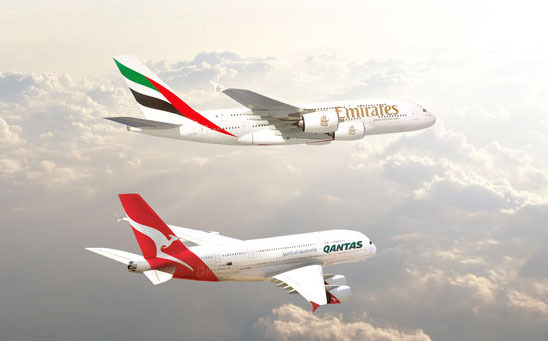 Qantas and Emirates announced a 10 year code share arrangement complete with "network collaboration" and "coordinated pricing, sales and scheduling," reciprocal rewards and lounge access. Why its practically an airline merger, except that it's not. If anybody has reason to cry now, it is the ever-enthusiastic energizer bunnies at Changi Airport in Singapore because when and if this deal kicks in, three European-bound Qantas flights, two to London and one to Frankfurt will no longer be stopping through the beautiful and user-friendly Changi, with its butterfly gardens and recliner chairs, according to a spokesman. No, those flights will hub instead at the new but much less interesting Dubai International.So maybe it is the passengers who will be shedding tears. Singapore Airlines can't be happy either. The Wall Street Journal is reporting that the Asian international carrier "derives about one-quarter of its total passenger revenue from the so-called Kangaroo Route." I've written before about the globalization of airlines as the three alliances expand into nearly every region of the world, and independents like Etihad and Emirates figure out ever more enterprising ways to accomplish the same goal while eschewing alliance membership. But the air travel industry is in flux. Heck, as recently as a month ago rumor was Qatar Airways would hook up with oneworld. That's the same oneworld that claims Qantas as a member. I'm not good enough at chess to suggest how the Qantas/Emirates partnership will affect Qatar's alliance decision, though I'm guessing it will. In June while Alan Joyce's airline was bleeding red ink, he sat on a stage at the World Trade Center in Beijing and accepted the chairmanship of the International Air Transport Association, a group whose members are challenged to build three-dimensional puzzles without the guidance of the picture on the box. That is the airline business these days. Joyce and Emirates boss Tim Clark have taken a bold departure from business as usual, wrecking havoc along the way. Despite the pain it may inflict, these men could very well be providing the illustration that will guide the rest of the industry. Wowch! The world has changed and realities on the ground dictate business decisions. 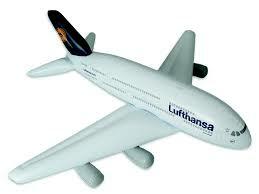 The center of the world at least as far as airlines are concerned has shifted to the Gulf; Dubai, Doha and Abu Dhabi. The sooner the alliances accept this and look again at how to restructure their routes the better off they are. Dubai is the most connected airport in the world it boasts on top of Emirates 100+ destinations more than 105 airlines operating there. Soon Doha and Abu Dhabi may follow, not as huge as Dubai but enough to attract attention.